Refreshing is one word for it. Let’s just say I needed the wetsuit for the inaugural swim of the year. And a bowl of steaming soup on my return. 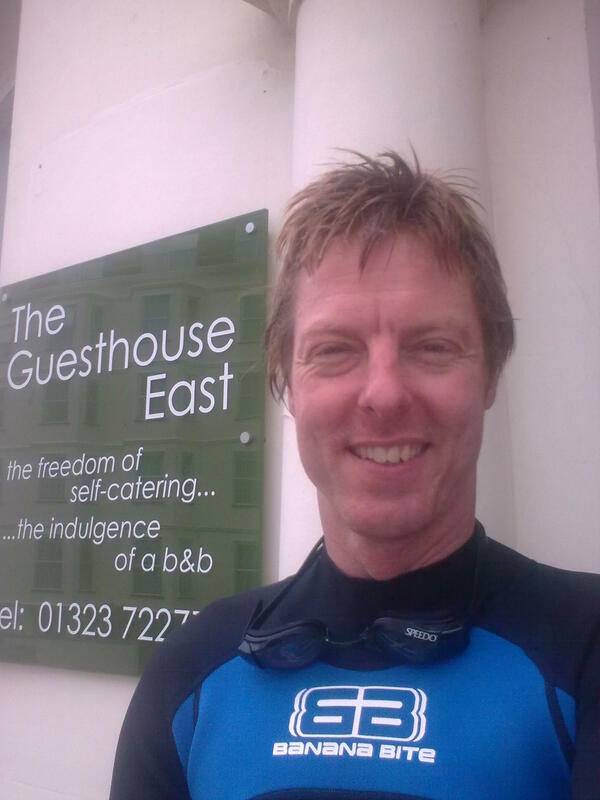 But the blood is certainly flowing again and we’re back in fine fettle after a hectic few weeks here at The Guesthouse East B&B in Eastbourne. Swiss, French, Thai. Management consultants, teachers, designers. Young families, romancing couples and businessmen. You can’t say it’s a bland crowd here. We’re completely taken over this Saturday night by an ecletic mix of walkers after the rigours of the South Downs Way. Better put some porridge on.